Wick Buildings, Inc. is a privately held Wisconsin company founded in 1954 by John F. Wick. John Wick is a Wisconsin native and graduate of the University of Wisconsin–Madison with a background in agriculture and advanced schooling in business and engineering. 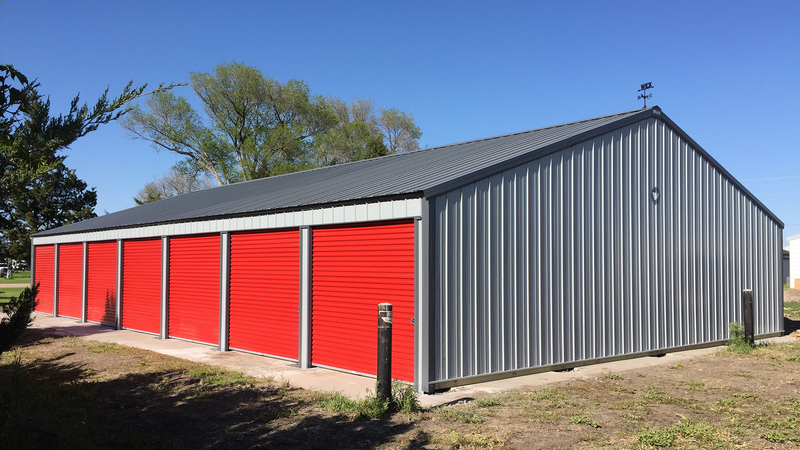 Wick Buildings consist of a wood-frame structure covered with sheet steel and/or other exterior materials such as brick and block. Clear span trusses up to 100 feet in width are fabricated. Siding, roofing, liners and trim are formed and cut from rolled steel at Wick’s production facilities. These components, together with the necessary pre-cut lumber, doors, windows and a variety of options, are loaded on semi-trailers and delivered to the buyer’s site. The components are then constructed into buildings on-site by company or local crews trained in the Wick way of building. With the sale of over 70,000 buildings to date, Wick Buildings has steadily grown to become one of the nation’s largest producers of post-frame buildings, including sophisticated animal confinement systems, horse housing facilities, on-farm livestock and storage buildings, suburban structures and professionally engineered commercial and light industrial buildings. Wick's Licensed Professional Engineers (PE) stay current with the latest codes and building technologies, and they create the standards for all Wick's designs. Using those standards, Wick's trained designers custom design each building to your needs. You'll get both a building that meets your needs and stands the test of time. Kindy construction serves the central and southern Wisconsin and northeastern Iowa areas, serving Madison, LaCrosse, Dubuque, and Wausau areas. We are a proven wick partner and have built more than 200 buildings in the last 15 years as a Wick Buildings independent contractor. We live and work in your community so you'll know who to contact should you need service, an addition or another Wick Building. DESIGN YOUR BUILDING IN 3D! Want to see what your next Wick Buildings post-frame building will look like? Our color planner should give you a good idea. 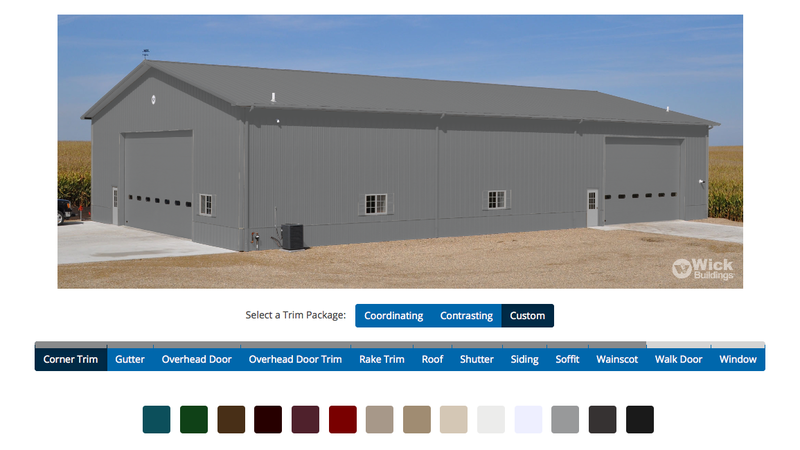 Select a building below and then click on the sections of the building to try out different colors to design your own building. When you’re done, you can print your design or save it for future reference. All Wick exterior steel is screwed down with color-matched screws - no nails. Reduces nail pops and maintenance while increasing strength against weather elements like snow and wind. Full-hard steel, 82,000 PSI hardness or better. Twice as impact resistant as 30,000 PSI commercial-grade steel. You'll appreciate that when hail falls on the roof or the mower throws stones at the wall - less dents. Exterior steel is G-90 galvanized. Compared to G-60 you'll get 50% more corrosion protection, so your Wick building will look great longer. Akzo Nobel Ceram-a-Star 1050 paint. Warranted not to chip or crack for 40 years. Highly reflective for energy efficiency, which keeps your building much cooler on those hot summer days. As the old saying goes "a warranty is only as good as the company that backs it up."